Hand and wrist operations are performed using local, regional or general anaesthesia. This is the least invasive anaesthesia and involves injection of local anaesthetic either into the tissues that are to be operated on or to numb the whole finger or thumb. It is the preferred anaesthesia for many of the more minor operations such as carpal tunnel decompression, release of a trigger finger/thumb, removal of a mucoid cyst from the end of the finger and other lumps on the finger. Many patients worry that the local anaesthetic injection will hurt a lot. 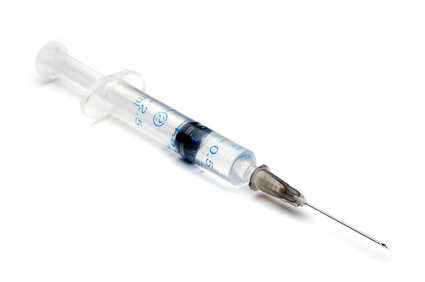 This is not what you should expect as if the injection is administered carefully it is usually not painful. It is common to experience a 'stinging' sensation or some minor discomfort as the anaesthetic is injected. This technique also uses local anaesthetic but rather than injecting it in the area where the surgery takes place, it is injected around the large nerves in the shoulder or axilla (armpit). This temporarily numbs the whole arm allowing surgery to take place painlessly. This anaesthesia is safer than a general anaesthetic, it offers excellent postoperative pain control, it is well tolerated by patients and it allows earlier discharge from hospital. 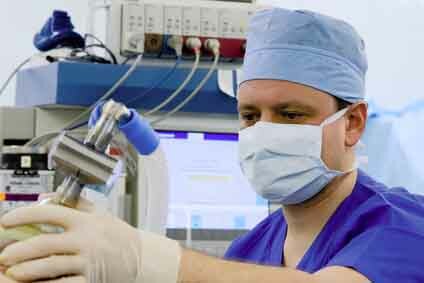 Mr. Farnell uses specialist anaesthetists who are experts in ultrasound guided nerve blockade. These anaesthetists have pioneered this technique for hand surgery patients in the UK and they host regular national teaching courses to teach other anaesthetists. Local anaesthetic is injected painlessly using ultrasound guidance to ensure sucessful anaesthesia of the arm. Due to the success of this technique, it is now unusual for Mr. Farnell to use general anaesthesia. For more details click here and look at the 'patient information' pages. In a general anaesthetic you are put to sleep. Modern general anaesthetics are safe, but they have slightly more risks than a regional anaesthetic. It can take some time to recover fully after the anaesthetic and it is common to feel a little nauseated, drowsy or tired for a few days afterwards. It is also common to have a mild sore throat for a few days. If you need to have surgery you will have an opportunity to discuss the type of anaesthesia that is most suitable for you with Mr. Farnell in the outpatient clinic. There will be a further opportunity to speak to the anaesthetist on the day of your operation should you wish.